Tuesday, May 29, 2018, 3:30 – 5 p.m. Sponsored by the Division of Politics, Philosophy, and Public Affairs. 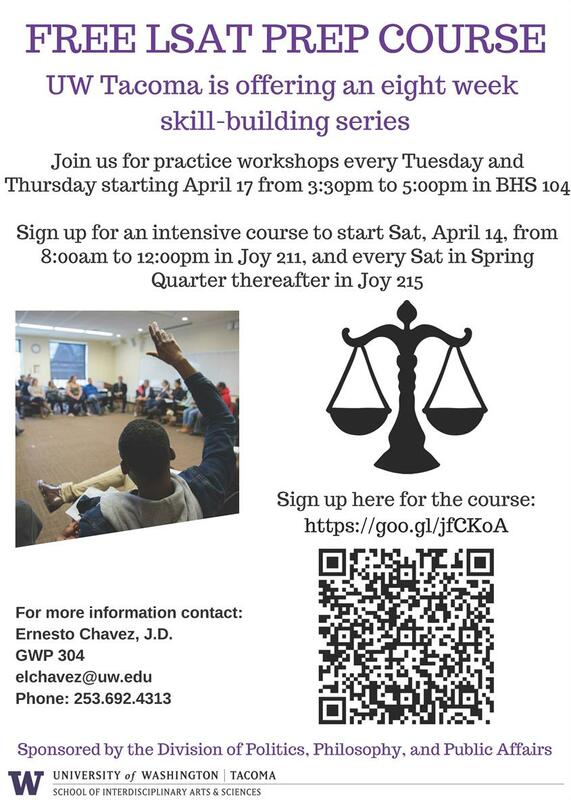 UW Tacoma is offering an eight week skill-building series. Join us for practice workshops every Tuesday and Thursday starting April 17 from 3:30pm to 5:00pm in BHS 104. Sign up for an intensive course to start Sat, April 14, from 8:00am to 12:00pm in Joy 211, and every Sat in Spring Quarter thereafter in Joy 215.